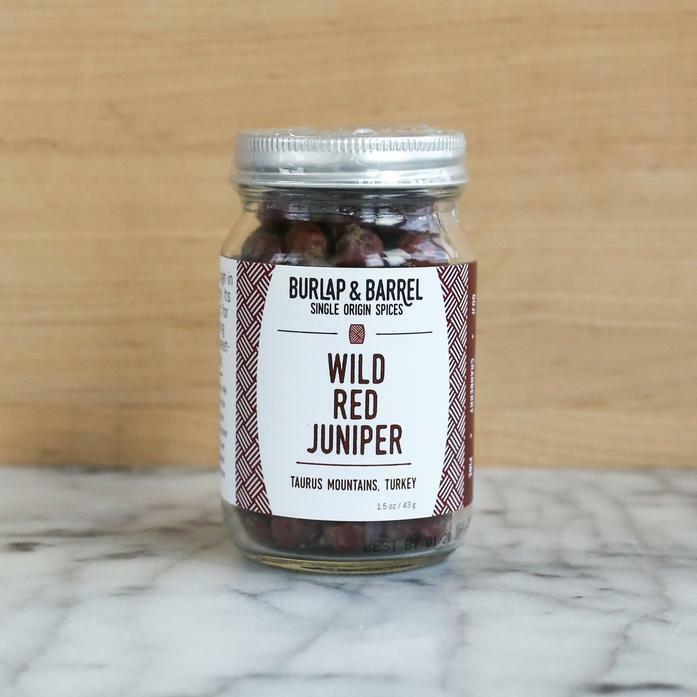 Our wild red juniper berries are harvested in the Taurus Mountains of Turkey. They're herbal and sweet with notes of pine and goji berries. Great for braised meats, cocktails, and teas.